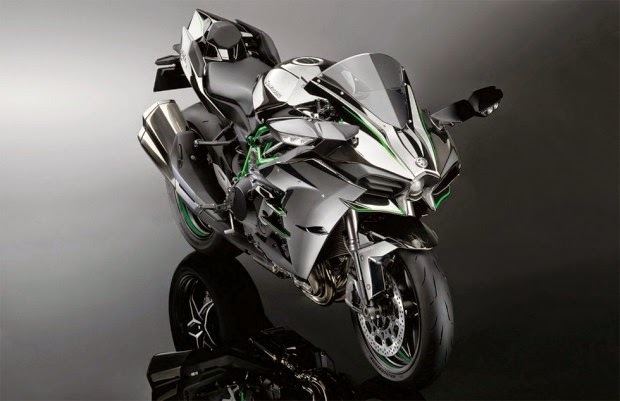 Kawasaki Ninja launches H2 for $ 120,000 and has new Versys, Vulcan and Z30031. 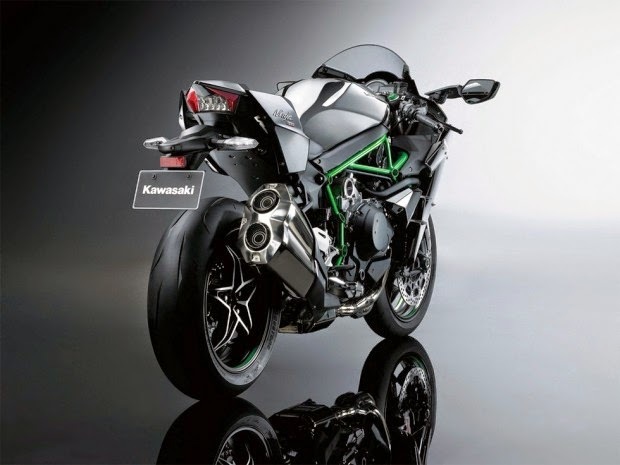 The gala evening was to present the very special Ninja H2, the superesportiva equipped supercharged engine, but the Kawasaki surprised and presented late on Monday in Sao Paulo, all line news in 2016, arriving at online stores between April and July this year. In H2, were present the new Versys 650 and 1000, the naked Z300 and a custom Vulcan 650 - not counting the KLX 110, specific for use cross. 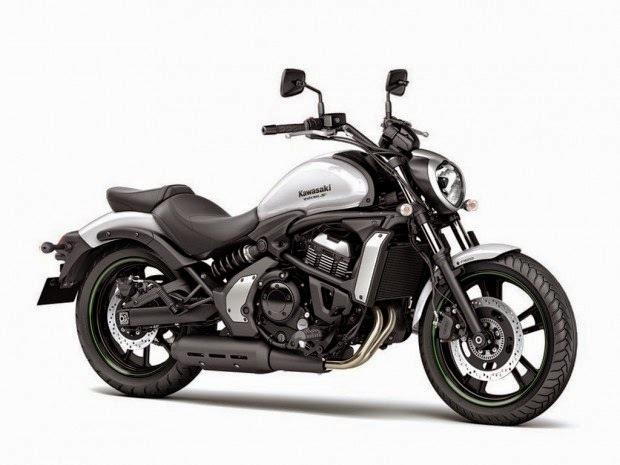 This is a necessary response Kawasaki market, after falling sales and closing some dealers in 2014. That is in addition to renew its line also extends its range by entering into segments hitherto unexplored by the company here. 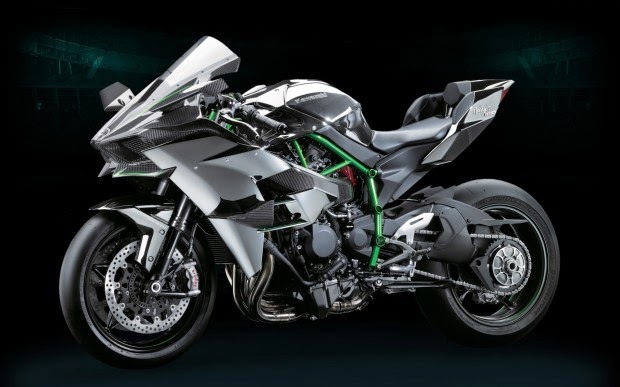 Inspired by the classic H2 1971 brought a new level of performance for its time, the new Ninja H2 comes to be the epitome of sportsmanship Kawasaki. Developed based on the brand experience in aircraft turbines and planetary boxes, the superesportiva promises to revolutionize the industry by bringing a motorzão four-cylinder 998 cc supercharged by a supercharger (mechanical compressor). Are no less than 200 horsepower and a shitload of 13.6 Nm of torque at 10,500 rpm - or 210 hp with a special air intake. The option for the supercharger was due footprint logo at low revs, as his drive is mechanical, pulley (instead of exhaust gases in the turbo). 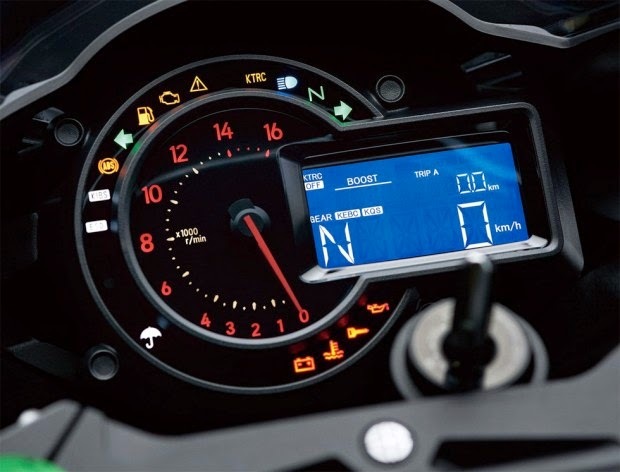 This feature also eliminates the need for intercoolers, which would cause increased weight of the motorcycle. With the ability to rotate up to 130,000 rpm (9.2 times the crankshaft, which goes to 14,000 rpm), the compressor pushes up to 300 liters of air per second for the four cylinders. H2 sold here is adapted for our E25 fuel (although it is now E27 with 27% ethanol). The raised design and halfway science fiction was all developed in the wind tunnel, that is, it is extremely functional. Pinch has exclusive painting with silver paint in use, to give a mirror tone. The panel has a great number of functions within the analog-spins account (especially the graphics crescent-shaped), including a launch control, catching spin on 6000 rpm for best possible acceleration. Made based on the opinion of pilots and owners of sports brand, the H2 has chassis in steel trellis, with light tubes (the total weight of the motorcycle is 238 kg) and a single swing arm, made to give a cleaner look and increasing the motorcycle tilting capability (since the exhaust can be increased and approached the table). The brakes are Brembo double disc 330 mm in front and single disc 250 mm ago, mounted on rims 17 "wearing 120/70 tires in front and 200/55 behind. The exchange six-speed brings the concept "dog ring" of the Moto GP Kawa, which makes the passage of lighter gear, in addition to the quick-shift system that avoids the use of the clutch. The first batch of H2 to Brazil arrives in July, with only 28 units at a price of R $ 120 thousand each, plus shipping. Surprise line, this new custom is mounted on the base of naked ER-6n, using the same engine bicilíndrico 649 cc (61 hp with power in this case) and the exchange six gears. 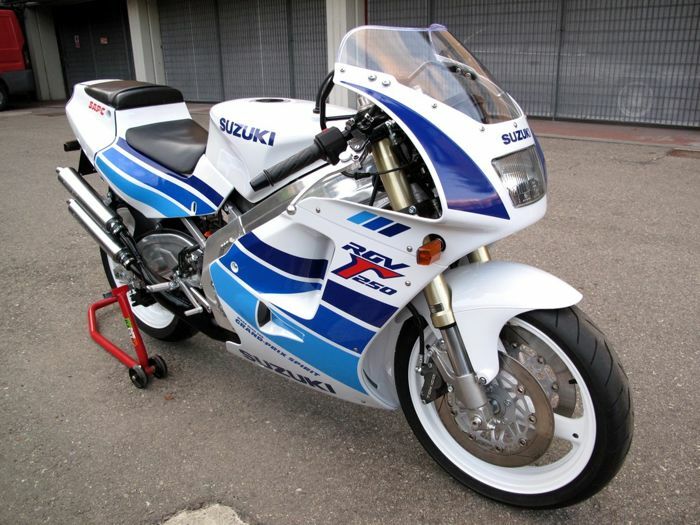 With design that recalls the sister greater Vulcan 900, it begins shipping in June and July, still no set price. 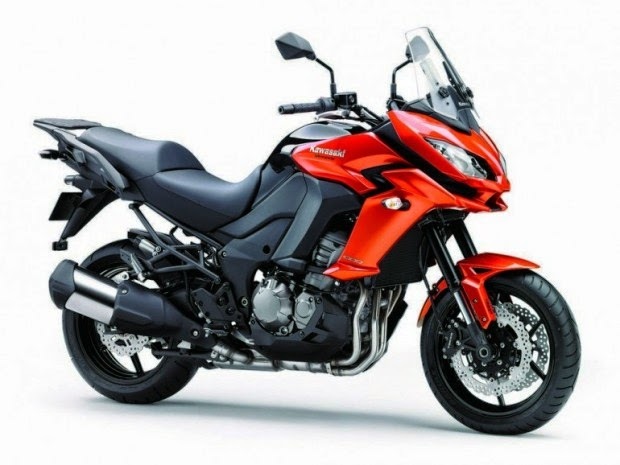 But should be in the range of Honda CTX 700N at around £ 30,000. The Versys 2016 abandons the strange guy with lighthouse form of "8" in favor of a far more aggressive fairing with dual headlights. In addition, the subframe has been scaled to larger load capacity as well as the brakes. Also changes the instrument panel, which adopts the same ER-6n's. The engine follows the bicilíndrico of 649 cc, now with 69 hp (5 hp more) and exchange six gears. Arrives in July for R $ 32,990 in the standard version and R $ 35,990 with ABS. It will be the first of the new hit stores in April - so much that already appears on the brand website. By R $ 53,990, brings the same new design of the 650 and motorzão four-cylinder 1043 cc and 120 hp with six-speed exchange. Won center stand and adjustable windshield (this also in 650). Grand Tourer version will have more equipped, from July. 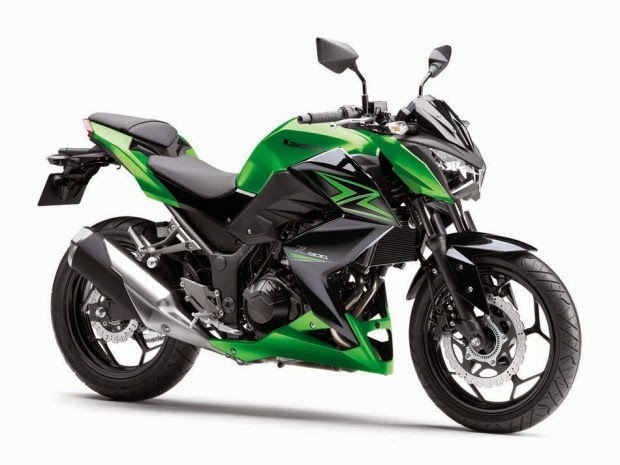 The new naked Kawa is the entry model here, positioning priced below the Ninja 300 - £ 17 000 would be a good guess. Will have versions with ABS (only in green) and three colors without ABS. This is the "naked" version of Ninjinha, equipped with the same 296 cc motorbiclíndrico and 39 hp at 11,000 rpm, mated to six-speed exchange. 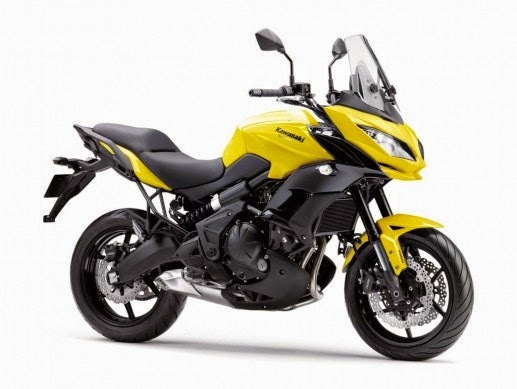 Brings high handlebars and more open, with a design that is very reminiscent of the older sister Z800. Sales begin in July.